This is absolutely THE ONE you've waited so long for! GORGEOUS four bedroom, 2 bathroom home in a lovely neighborhood with a POOL!! 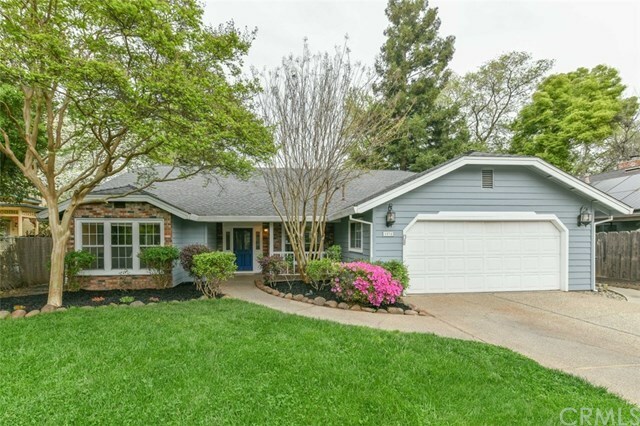 Tucked on a quiet cul-de-sac in an established North Chico Neighborhood, this one won't be on market long. Many updates throughout, making this home fresh and move in ready! Perfect home for entertaining with a formal living room and dining room AND an open concept kitchen/secondary dining area/family room! Stainless steel appliances, lots of cabinets and counter space make this a cook's dream kitchen! Stunning vaulted wood beamed ceiling. Cozy wood stove in family room. Super spacious master suite and master bath with tons of storage and double sink vanity. Laundry room with storage and sink! Back patio access from main living area AND master suite, enjoy this beautiful and private backyard with sparkling pool! Get ready to fall in love!